Tibet is a beautiful and unusual representation of a matelassé. 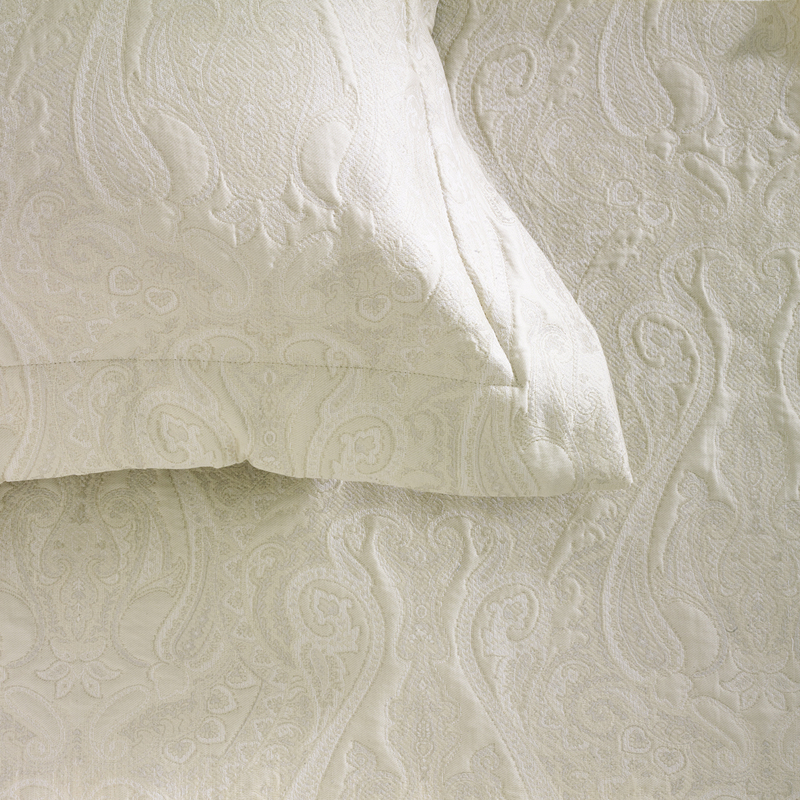 The first matelassés originated with the invention of the jacquard loom and sought to approximate the white-on-white trapunto quilts of the 18th century. Tibet, however, is a yarn-dyed matelassé, which is not common. 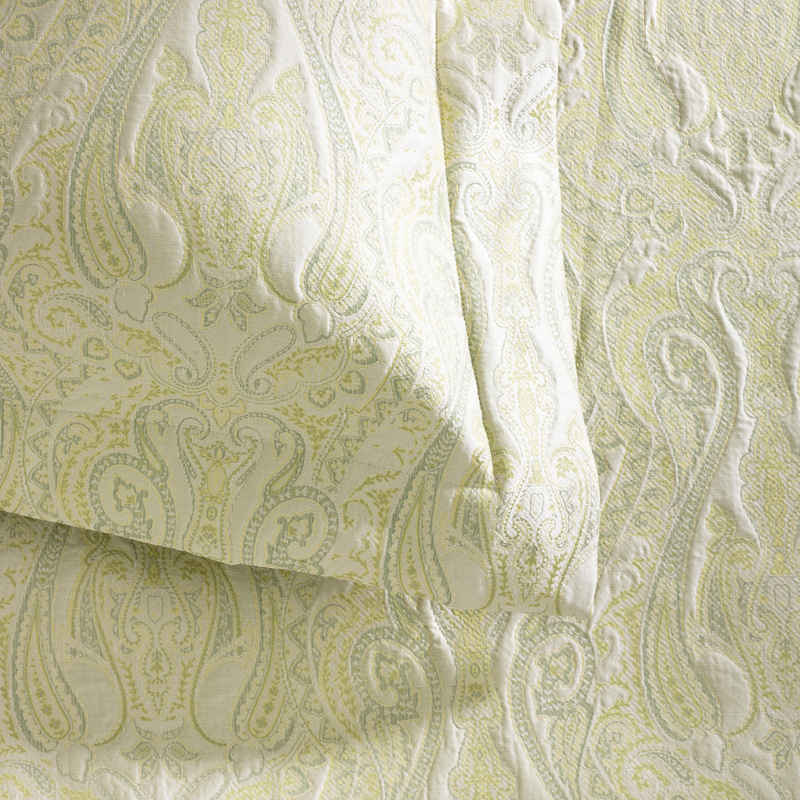 The distinct yarn colors are woven to create this intricate, three dimensional paisley design. The yarns are 100% colorfast and the matelassé is completely washable. It is remarkably durable and the hand and look of the matelassé will improve with age. In addition to the process, there is the place. Tibet is woven in Italy by one of the very few remaining master weavers. This small boutique mill, near Lake Como, embodies everything legendary regarding Italian textiles. Tibet is an Anichini exclusive and signature design. 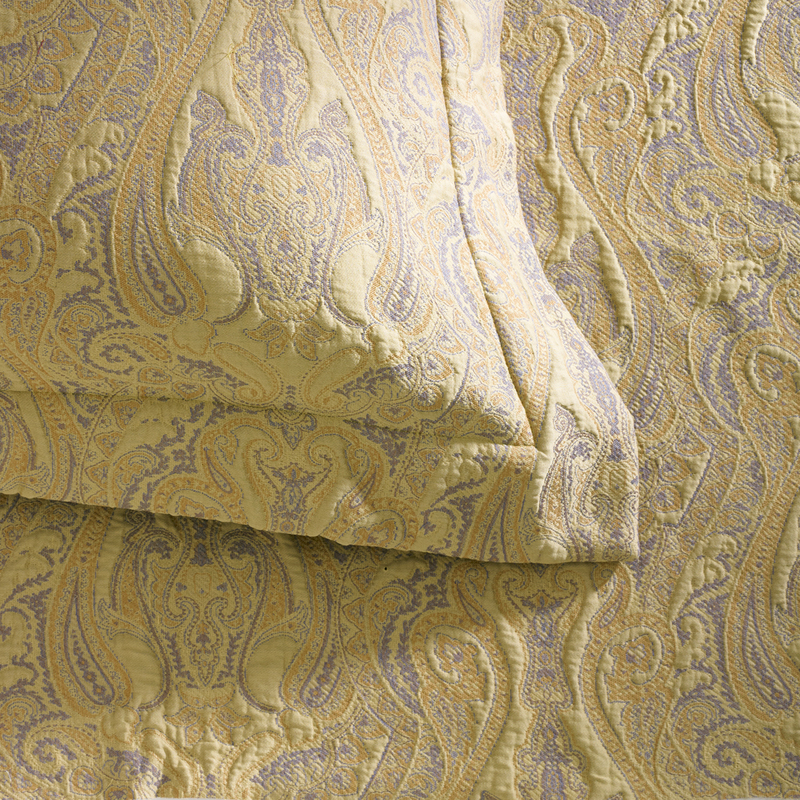 Click here to see Tibet coverlets and shams at our online store.